Totally... it's like "what is she supposed to do? Only thing she CAN do is grab the diamond, and then... Ohhhh I get it!" That's why the Thief Class comes with an incredibly high Speed of 85. I love the way lockpicking works in this game, by the way. We have to equip the lockpick! "You! ... I'll get you for this!!!" On 20 Last Seed (Day 5), near midnight, Miss Chevuus found herself in the manor of Ondres Nerano, a Dunmer noble who poshed around his home all day. Chevuus's task was to steal a key from his pocket, then bring it back to Ra'virr, her Thieves Guild contact. Ra'virr resided in the South Wall Corerclub, and had been waiting for this key now for two whole days. Despite this, Chevuus was being cautious. She was thinking it'd be easy to just grab this key, undetected. Another job done. But it hadn't turned out that way. Even after preparing ahead, buying an invisibility potion from the Mages Guild for 35 gold, then sneaking up on her mark, he easily caught her. So now it was three days, and she still had no key. Angry and pouting, Chevuus stormed around Balmora for awhile. Walked in circles. "I should have that key in my hands!" she burst. Then realized something. She was out of practice. It'd been years since she pickpocketed anybody. In her youth, she'd become quite good at slipping a blue hand within someone's pocket, lapel, or purse, then removing whatever she found there. Most of the time, what she found was not all that worthy. But at least she'd been good. What she wasn't so good at was breaking into homes and businesses. Her skills with picking locks were horrible! Therefore, when she did manage to break in somewhere, it was usually on the east side of Balmora where the locks are simpler. Not the manors with their more complex mechanisms. Problem was, on the east side, people are poorer. And she hadn't been in the Thieves Guild back in those days. Nobody to pay the prices upon her head. It was after the fifteenth or sixteenth time that the locals finally had enough of her. Sent her off to the big prison in the Imperial City, hoping she'd never be able to make it back. But oh, she had. And sending her to Cyrodiil had been a mistake, of sorts. They had no idea her skills at picking locks would actually improve while incarcerated. Because while in jail, she'd learned from the best. Now in adulthood, Chevuus realized she had become better at picking locks, but much worse at picking pockets. A doofus such as Nerano should have been an in 'n' out job. Easily. So after storming around for about an hour, an immense calm came over her. She then decided the best solution would be to get out of town for awhile. 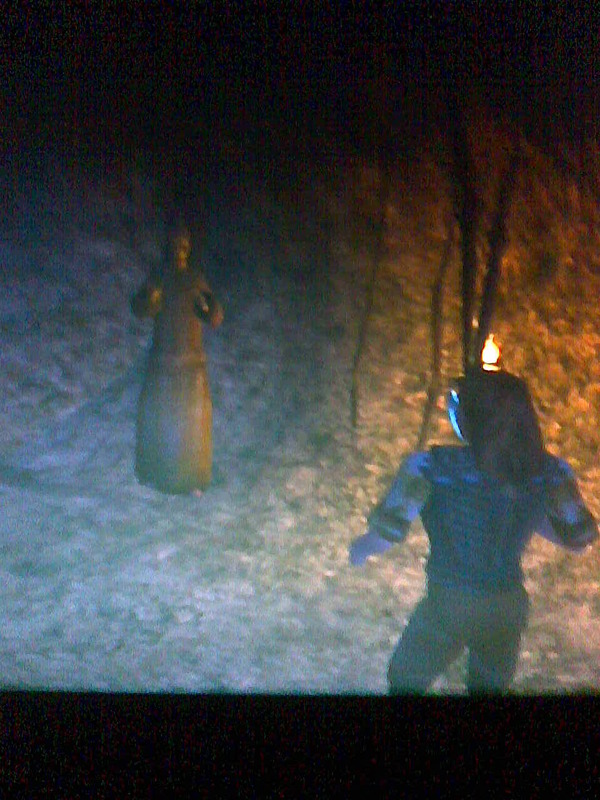 Take a silt strider, maybe go to Vivec; somewhere she could disappear for awhile. She'd already flubbed her reintroduction into Balmora society. So why not? "First thing, on the morrow," Chevuus said to herself, looking forward to riding upon a gigantic insect once again. Off to Vivec to practice pocketing picks, I mean picking pockets. Blue & beige works good together actually. EDIT: I just noticed that Miss Chevuus' stories couldn't be written in a thread with a more appropriate title. Ha ha yeah totally. Did not realize that. Lurius Lalelius looked up from his drink, thinking he had heard some sort of noise. Stalked around, sniffed the air, then sat down. But of course, being a bandit located in the underground lair of Zainsipilu, 'hearing something' was always a sensory effect one must take with a grain of frost salts, as the saying goes. 'Hearing something' was always a sensory effect one must approach with a smidge of caution. Even though it had been two days since his last whiff of skooma, Lurius knew how use of moon sugar products could be. Heightened awareness was both a bonus and a curse, as he knew well. "Arenwen, are you out there?" He called into the gloom, wondering if his underground associate had managed to calm down the slaves. "Hmph. Where is that slave?" he joked, referring to his partner as one of the mongrels they'd managed to capture over the past few months. Mostly Khajiit who'd stepped too far off the path, then found themselves being shipped to Vvardenfell. I was sure I heard something he thought again. Looked down into his brandy. Looked up. And that's when he saw her. A flash of red, inches away, and a swish of deadly-beige robes. 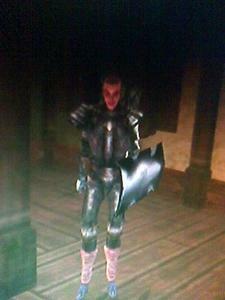 A momentary glimpse of the Altmer who would manage to end his miserable life. "You N'WAH!" he cried. Grabbed his weapon, while the elf before him began to retreat. Lurius wasted no time rushing after her. Left the comfort of his underground den, hoping not to face a horde of freed slaves as well as the elf. No, this seemed not to be the case. "I am Igodah, and today you have swung your last weapon," the elf cried out. "Remember my name in your death, snort-monger." Lurius continued to follow her as she continued to retreat. This will be a cinch, once I finally catch the outlander! thought Lurius, just before his strength began to fade. Silly mages, always dressed in robes, NO MATCH for my blade! he mused, as some sort of magical effect began taking final effect. "I shall rid your miserable life, outlander!" And that was the last thing Lurius Laleuis, former Vivec gondolier-turned-bandit would say before his legs could carry him absolutely no more. He looked down to his boots, flabbergasted and flummoxed. Tried to swing his axe. Yes, he could still manage this. But not with much force. What was happening to him? Igodah Gopei stopped her retreat. "How are you feeling, 'n'wah'?" she asked, approaching within swinging distance of Lurius' blade. "Say what you are trying to say, for not all of us are about flash but no fury." Lurius thrust at the elf. Connected. Normally, such an attempt would cause a broken rib, a gush of life-essence. But though the elf cried out in mock pain, his weapon had done nothing. The elf in beige robes then cast another spell, summoning a bonewalker. And as Lurius began to get pummeled, helpless to move his legs, helpless to cause any damage, he wondered if his days in Vivec hadn't been so bad after all. 20 gold a day at most, true, but better than this. As Lurius slumped to the floor, last thing he saw before darkness closed in was Igodah the elf's sinister smirk. Unable to move and then savaged by a bonewalker. The lady in deadly beige robes is not to be underestimated. Better not take those deadly beige robes with a grain of frost salts! They are no flash, but plenty of fury! When Igodah was done, his odor was the strongest thing about him! Yeah if I had to choose one character I'd most avoid in person, Igodah would be somewhere near the top. So... can anybody guess what I'm about to do? "Yes, you're in Morrowind," said Sellus Gravius to the group before him, the group of former prisoners. "I don't know why you're here. Or why you were released from prison and shipped here." Sellus swept his eyes across them all. Most of the group before him was a motley crew. Mean-looking, rapacious, not to be trusted. A sly-looking Redguard man. A mischievous-looking Dunmer lady. A haughty female Altmer, who'd been sent here after mucking something up in Cyrodiil's Mages Guild. Only one of the group, a tall man, probably Breton, was smiling. Something about that one caught Sellus' eyes. "But your authorization comes directly from Emperor Uriel Septim VII himself. And I don't need to know any more than that." "And you shalt not, sire. Of this we can attend, with promise." Sellus glared at the man who dared speak, interupting his welcoming sermon. The Breton, the one who was still smiling. A gallant grin the man had, without pretension or mocking. "Go on." The Breton, again. Sellus continued. "When you leave this place, you are free. But before you go, I have instructions on your duties. Instructions from the Emperor. So pay careful attention." Sir Galarad did so, eager to see the new world he'd been shipped to. The others? They'd have to find their own paths. It is raining here, so I guess you are going to create a new character!!! You didn't rob them silly! You are letting all that good loot go to waste! You don't go around stealing stuff with a name like Sir Gallard. Lopov: Two nU t0on$ in tw0 d8y$! It's all about the roleplay, hon. All about the roleplay. roleplay? Is there where you grind for hours to buff up your toon and become Uber h8xxoR! P4E8R M3 N00bS! Enough with the Easter Bunny. Time to do some gaming here on Easter Sunday. In fact I am going to see where I left off in Vvardenfell. Did I spell that right? Oh yes, I did. 16 Last Seed (Day 1): Sir Gallarad, a knight I rolled last year, begins his game in Seyda Neen. He apparently just spoke to Socucius Ergalla (the sage-looking guy from the immigration office) about some sort of tax documents he'd found on a nearby body. Nearby to Seyda Neen, that is. Being more of a "good" character (so far), Sir Gallarad has promised to do his best trying to find out about the Murder of the Tax Collector. Nexus Mod Manager pooped out on me and I don't feel like re-installing Skyrim and Fallout right now, so I opted to play Morrowind with OpenMW. It's running great so far, and my Redguard named Cain has met up with Caius in Balmora. Cain is a little green, though, so he joined the Fighter's Guild to earn some experience. Next stop is Caldera! That is awesome Kane! I am playing the base game on Xbox, so it's like we're at opposite ends of the Morrowind spectrum or something. It is 20 Last Seed, about mid-afternoon. Sir Galarad has just rented a room in Pelagiad. Today is an important day because he just got his final piece of armor on his right shoulder, so he is nearly a complete knight. Mixture of iron and steel. All he needs is a helmet, but maybe he'll opt to not wear one, for now. 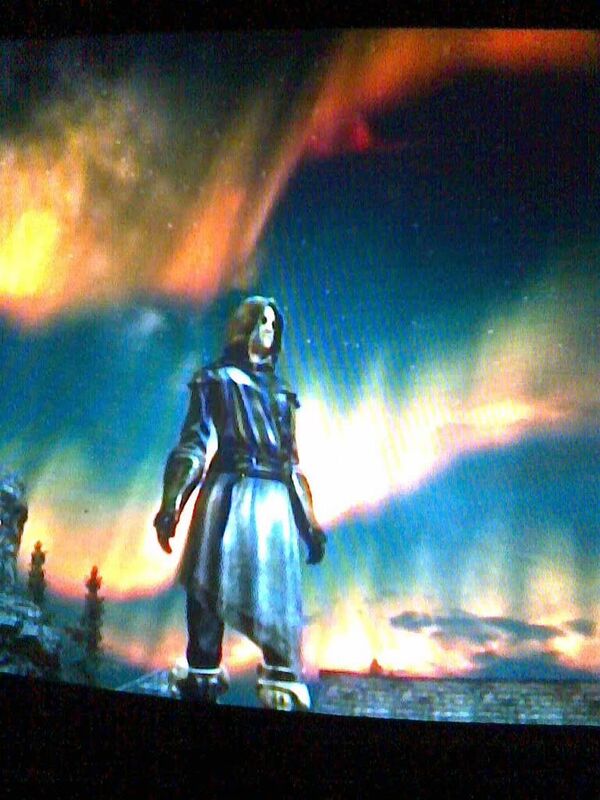 He is headed toward Balmora. Going straight there, because of the documents he's supposed to bring to Caius. Not too far apart at all! I'm playing mod and DLC free, to get a feel for the base game. I'll probably do the main quest and explore a bunch before I think about modding.